Please ensure you have Node 6+ installed on your machine. 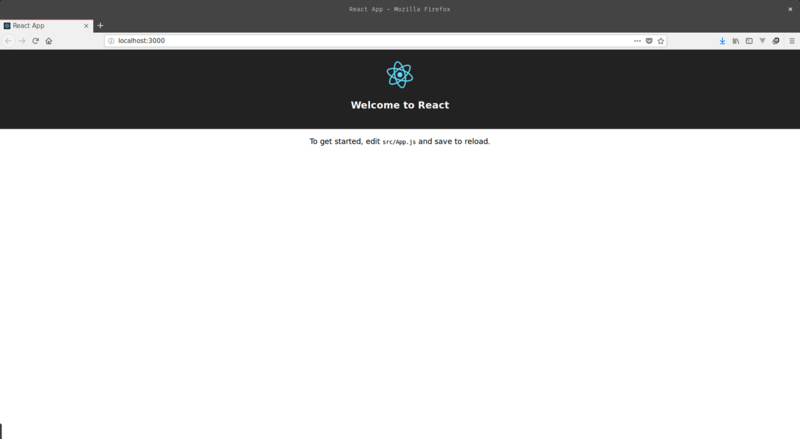 A basic understanding of React and Node will be helpful. A realtime application is a program that functions within a time frame that the user senses as immediate or current. Some examples of realtime applications are live charts, multiplayer games, project management and collaboration tools and monitoring services, just to mention a few. Today, we’ll be creating a realtime paint application. Using our application, users can easily collaborate while using the application and receive changes in realtime. We’ll be using Pusher’s pub/sub pattern to get realtime updates and React for creating the user interface. To follow this tutorial a basic understanding of React and Node.js is required. Please ensure that you have at least Node version 6>= installed before you begin. If you noticed, we used npx rather than npm. npx is a tool intended to help round out the experience of using packages from the npm registry. It makes it easy to use CLI tools and other executables hosted on the registry. Start the React app server by running npm start in a terminal in the root folder of your project. Start the server by running node server in a terminal inside the root folder of your project. Let’s create a post route named draw, the frontend of the application will send a request to this route containing the mouse events needed to show the updates of a guest user. The trigger is achieved using the trigger method which takes the trigger identifier(painting), an event name (draw), and a payload. Let’s create a component to hold our canvas. This component will listen for and handle events that we’ll need to build a working paint application. // Set the start and stop position of the paint event. // Here we set up the properties of the canvas element. // We use the ref attribute to get direct access to the canvas element. Note: we use the paint event to describe the duration from a mouse down event to a mouse up or mouse leave event. There’s quite a bit going on in the file above. Let’s walk through it and explain each step. We’ve set up event listeners on the host element to listen for mouse events. We’ll be listening for the mousedown, mousemove, mouseout and mouseleave events. Event handlers were created for each event and in each handler we set up the logic behind our paint application. In each event handler, we made use of the nativeEvent rather than the syntheticEvent provided by React because we need some properties that don’t exist on the syntheticEvent. You can read more about events here. In the onMouseDown handler, we get the offsetX and offsetY properties of the nativeEvent using object destructuring. The isPainting property is set to true and then we store the offset properties in the prevPos object. The onMouseMove method is where the painting takes place. Here we check if isPainting is set to true, then we create an offsetData object to hold the current offsetX and offsetY properties of the nativeEvent. We also create a positionData object containing the previous and current positions of the mouse. We then append the positionData object to the line array . 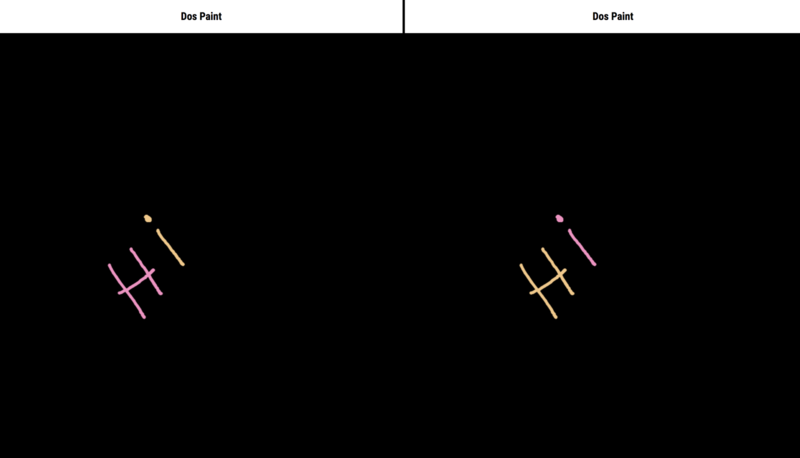 Finally, the paint method is called with the current and previous positions of the mouse as parameters. The mouseup and mouseleave events both use one handler. The endPaintEvent method checks if the user is currently painting. If true, the isPainting property is set to false to prevent the user from painting until the next mousedown event is triggered. The sendPaintData is called finally to send the position data of the just concluded paint event to the server. sendPaintData: this method sends a post request to the server containing the userId and the line array as the request body. The line array is then reset to an empty array after the request is complete. We use the browser’s native fetch API for making network requests. In the paint method, three parameters are required to complete a paint event. The previous position of the mouse, current position and the stroke style. We used object destructuring to get the properties of each parameter. The ctx.moveTo function takes the x and y properties of the previous position. A line is drawn from the previous position to the current mouse position using the ctx.lineTo function and ctx.stroke visualizes the line. We’re making use of an external font; so let’s include a link to the stylesheet in the index.html file. You can find the index.html file in the public directory. In the componentDidMount lifecycle, we subscribe to the painting channel and listen for draw events. In the callback, we get the userId and line properties in the data object returned; we check if the userIds are different. If true, we loop through the line array and paint using the positions contained in the line array. Note: Ensure both the server and the dev server are up by running npm start and node server on separate terminal sessions. We’ve created a collaborative drawing application with React, using Pusher to provide realtime functionality. You can check out the repo containing the demo on GitHub.